Complete Package with everything to run a compete off grid solar fridge. With the 285W panel included this will run as a freezer in a tropical climate. The Steca PF 240 is the most efficient DC energy-saving refrigerator ever to be developed. It can be used as either a refrigerator or a freezer. The Steca PF 240 are fully programmable. The inside temperature and each of the other configuration values can be set by the user. 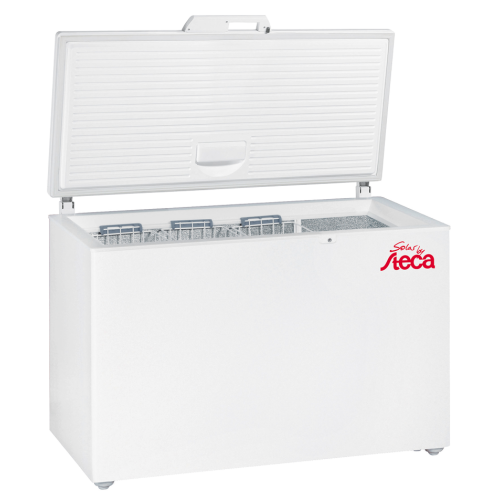 They are therefore perfectly suited for all DC applications including even the refrigeration of medicines in hospitals. Thanks to the latest A+++ energy efficiency class, together with optimal electronic control and an RPM control of the compressor, it is possible to ensure that the energy is used extremely efficiently. This leads to significant cost reductions.